Every year MWM is able to consider making a small number of grants. MWM is prepared to consider making grants to fund, wholly or in part, projects which are of an educational nature or which promote awareness of and partnership with the World Church. Priority is given where a response from other agencies may not be appropriate or possible. Applications should come from the Methodist Church in the country of the project. Trustees will require details of the scheme and evidence of how the local church will support the project and the manner in which that church will be able to monitor and report back to MWM on the progress of the project. Click for further information about Grants. £3,250 to World Church Relationships to support the work of Mission Partners sent out in response to a request by the United Mission to Nepal following the earthquakes. 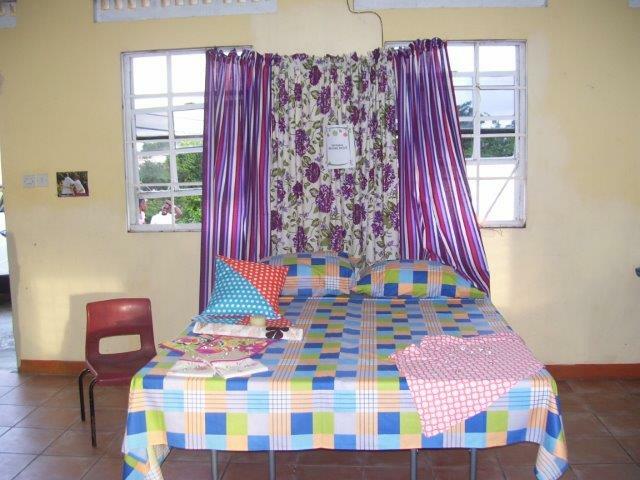 £ 2,895 to World Church Relationships to support the Woburn Sewing Class Project in Grenada. The object of this project is to empower women in the Woburn communities with relevant skills so that they may better be equipped to take care of their families. At the end of the project the participants will have the option to form a sewing network throughout the circuit where they can make school uniforms for students at their schools. It is also possible that they might own a shop in their respective communities to earn a living to help their families. Currently the Woburn Women’s Ministry runs a breakfast feeding programme at the Woburn Methodist School where 31 students receive a hot meal every morning before school. This has made a huge difference in the life of these children. An example of the sewing work being done as part of the Woburn project. You are very welcome to make a donation to MWM, if you wish.